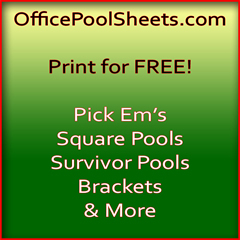 Welcome to the OfficePoolSheets.com Banner page. Thanks for sharing our site on yours. You can paste our banner on forum signatures or on any webpage or blog.